Back in May of 2014 I posted in Questions for Martha McSally: Are you a Neocon war monger like your endorser John Bolton? Former United Nations ambassador John Bolton’s political-action committee will make its first endorsement on Thursday, backing former Air Force colonel Martha McSally in her race against Arizona Democratic representative Ron Barber. 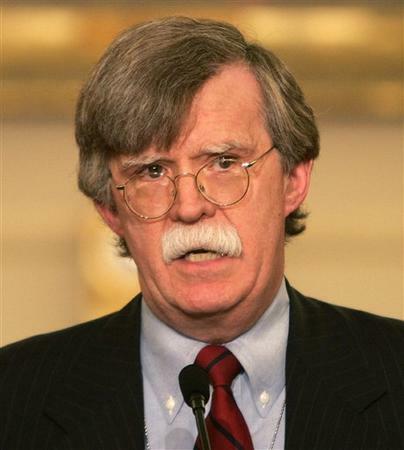 The John Bolton Super PAC (he also has a regular political action committee) will support candidates who share his vision for a muscular American foreign policy and the need to revive America’s role in the world. 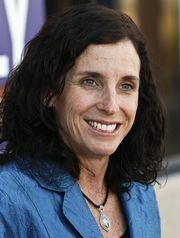 McSally will receive a total of $10,000 from Bolton’s organization . . . “I am honored to have the support and endorsement of Ambassador Bolton, a great American who has advocated for our freedom against enemies worldwide,” McSally said in a statement. Oh Hell No! On a Batshit Crazy scale of 1 to 10, John Bolton breaks the scale blowing past 11. Martha McSally is the first endorsement for Bolton’s Super PAC? And she calls this reckless war monger “a great American”? Now we learn it is possible that Martha McSally was receiving far more than just campaign contributions from John Bolton. In the two years that followed, Mr. Bolton’s super PAC spent nearly $1.2 million primarily for “survey research,” which is a term that campaigns use for polling, according to campaign finance records. To do that work, Cambridge used Facebook data, according to the documents and two former employees familiar with the work. Cambridge Analytica, which rose to prominence through its work with Mr. Trump’s 2016 election campaign, has found itself confronting a deepening crisis since reports this past weekend in The New York Times and The Observer of London that the firm had harvested the data from more than 50 million Facebook profiles in its bid to develop techniques for predicting the behavior of individual American voters. Cambridge’s so-called psychographic modeling techniques, which were built in part with the data harvested from Facebook, underpinned its work for Mr. Trump’s campaign in 2016, setting off a furious — and still unsettled — debate about whether the firm’s technology worked. The same techniques were also the focus of its work for Mr. Bolton’s super PAC. Using the psychographic models, Cambridge helped design concepts for advertisements for candidates supported by Mr. Bolton’s PAC, including the 2014 campaign of Thom Tillis, the Republican senator from North Carolina, according to Mr. Wylie and another former employee, who spoke on the condition of anonymity to avoid being dragged into the investigations that now appear to be engulfing Cambridge. One advertisement, a video that was posted on YouTube, was aimed at people who scored high for conscientiousness, and were thought to respect hard work and experience. It emphasized Mr. Bolton’s time working for Ronald Reagan and how Mr. Tillis embodied the spirit and political ethos of the late president. Beyond their conservative politics, Mr. Trump, Mr. Bolton and Cambridge Analytica all share a patron — the Mercer family of Long Island, whose patriarch, Robert L. Mercer, made a fortune at the helm of a top-yielding hedge fund. Cambridge Analytica, which grew out of the London-based SCL Group, was founded in 2014 with a $15 million investment from Mr. Mercer, whose daughter Rebekah sits on the firm’s board of directors. Stephen K. Bannon was also a co-founder. At the same time, Mr. Mercer was financially supporting Mr. Bolton’s PAC, donating $5 million between April 2014 and September 2016, according to Federal Election Commission filings. 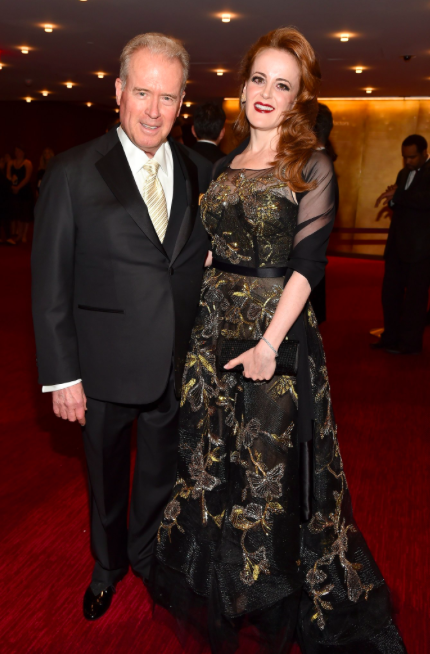 The Mercers also backed Mr. Trump in the presidential election. The Mercer family has not publicly commented since the reports about the misuse of Facebook data by Cambridge first surfaced in The Times and The Observer. The reports have prompted calls from lawmakers in Britain and the United States for renewed scrutiny of Facebook, and at least two American state prosecutors have said they are looking into the misuse of data by Cambridge Analytica. The company also suspended its chief executive, Alexander Nix, after a television broadcast this week in which he was recorded suggesting that the company had used seduction and bribery to entrap politicians and influence foreign elections. U.K. authorities raided Cambridge Analytica’s offices overnight amid an investigation into whether the political consulting firm illegally acquired Facebook data to target voters. 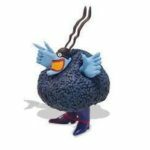 Around 18 investigators were seen entering the company’s London headquarters after obtaining a warrant to search its database and servers Friday night, the Guardian reported. The search lasted seven hours, according to the BBC. But it is the harvesting of Facebook data that has cast the harshest spotlight on Cambridge, and Mr. Bolton’s experience with the company appears to have provided a model for how it sold itself to future political campaigns, including Mr. Trump’s. The firm took the psychographic profiles it was building off the Facebook data at the time and combined them with voter databases and other sets of data. Staff from SCL’s elections division, which through a convoluted corporate structure was interchangeable with Cambridge, discussed what they were doing at a meeting in July 2014 with another contractor for the Bolton PAC, according to an agenda of the meeting obtained by The Times. The profiles would be used to “identify the personality traits of individuals” in states to be targeted by the Bolton PAC, said the agenda, which was prepared for SCL and Cambridge staff. “Individuals can be targeted with the right message,” it said. The agenda also included a line, in boldfaced text, that said SCL wanted to use voter contact lists available to Bolton’s campaign to direct people “toward the FB app.” Cambridge, working through an outside researcher, used a Facebook app to harvest data from the social network’s profiles. The app claimed to be collecting data for academic research, and users were not aware of its true purpose. Months later, the relationship between Cambridge and the Bolton PAC had grown so close that the firm was writing up talking points for Mr. Bolton. In an email dated Oct. 1, 2014, Cambridge staff outlined a few sentences that Mr. Bolton could use to describe the work the new firm was doing for his super PAC. “It’s not just about how much you spend. It’s also about how smart you spend,” the email advised Mr. Bolton to say. Question for Martha McSally: Did the Bolton PAC and/or Cambridge Analytica provide you with their psy-ops micro-targeting messaging data? Did either produce social media, direct mail, or television advertising content for your campaigns using their psy-ops micro-targeting messaging data? If so, you were in receipt of stolen property, i.e., the intellectual property of Facebook (user profiles). This is a violation of the privacy rights of Facebook users. Time to come clean, Martha. The Brits may already have your Cambridge Analytica client file in their possession. You probably want to get out in front of Scotland Yard’s investigation and come clean. Bolton hired Cambridge to do psyops on US citizens to convince them that wars are happy places and we want more of them. He’s scum. McSockpuppet is a coward who wants a job so bad she will do or say anything and work with anyone and take any money she can get no matter how dirty. Bolton is also the head of The Gatestone Institute, a racist organization that pushes fake news. So, add “liar” to the list of reasons Bolton is scum. Here’s a good rule of thumb, Martha, if you are working with liars and racists, it makes you look like a lying racist. Martha used to be against Trump, until it became useful for her. And much like John Kavanagh, she doesn’t seem to have ever gotten a paycheck that wasn’t taxpayer funded. Why does the AZ GOP keep supporting these fakes? I appreciated the opportunity to speak with Christopher Schmaltz from the Tucson Airport Authority this past week. @TucsonAirport is central to our economic viability and I welcome creative ideas to grow its development. Happy #NationalPuppyDay to my favorite hiking buddy, Boomer! Give your furry angels, no matter what age, some love today.